Shipping is USPS, Surface Only, International Shiping is not allowed. Those days are over ! We offered Hot Shot starters several years ago as individuals. Now we are re-introducing the Hot Shots as a user friendly dip kit. Nothing else has changed. The Hot Shots target the black powder motor users but that doesn’t mean the product doesn’t have many other uses. The dip is conductive, meaning there is no bridge wire. The bridge wire is replaced with a conductive mix that has just the right resistance to operate dependably. So dipping starters has never been easier. Simply strip about 1/4″ from your leads webbing the two conducters with our compound and dip as you see fit. You will decide how big the starter needs to be and exactly how you want it to perform. Your own bench testing will determine exactly how to configure the starter you want. 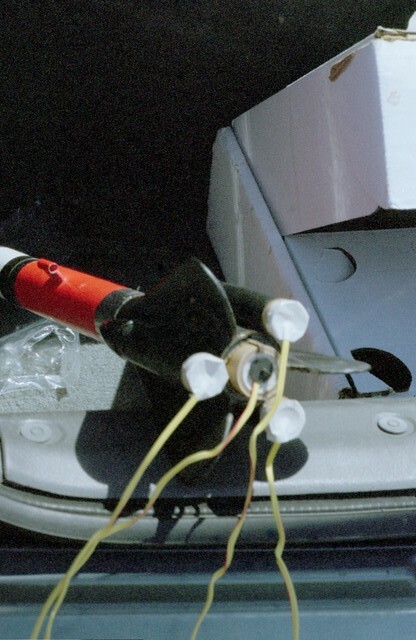 The kit comes with everything you need with the exception of Acetone and lead wire. Acetone can be purchased at most any hardware or home improvement stores. 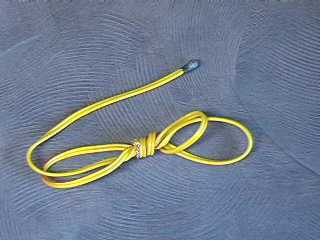 We suggest that you use “Shooter Wire” or twin conducter “Lamp Cord”, the product has many names. A good source for the wire is the fine folks at MJG Technologies . We suggest 26 AWG for smaller starters and 24AWG for the larger starters. 18 Grams of mix will make a boatload of starters. Enhance other manufacturers starters. Have a starer that simply doesn’t have enough umph? Dip the tip of thier starter with Hot Shot Conductive mix. The performance of inferrior starters will improve dramatcailly. When used with other manufacturers starters you’ll need to avoid the plugs designed to hold thier starters in place. The Hot Shots are a little soft and may crumble. Simply secure the starter into the motors nozzle with a small piece of masking tape. This will work perfectly. If you want you can harden the Hot Shots head a bit with a coat of fingernail polish, red looks nice ; ) another way is to coat the head with a dip in 10% Nitrocellulose Laquer or a 10% solution of Ping Pong Balls disolved in acetone. Either method will work. Make starters that can be suited to your exact needs, and perform as you wish, by dipping them yourself. Want bigger starters? Add a second or third coat, no problem. 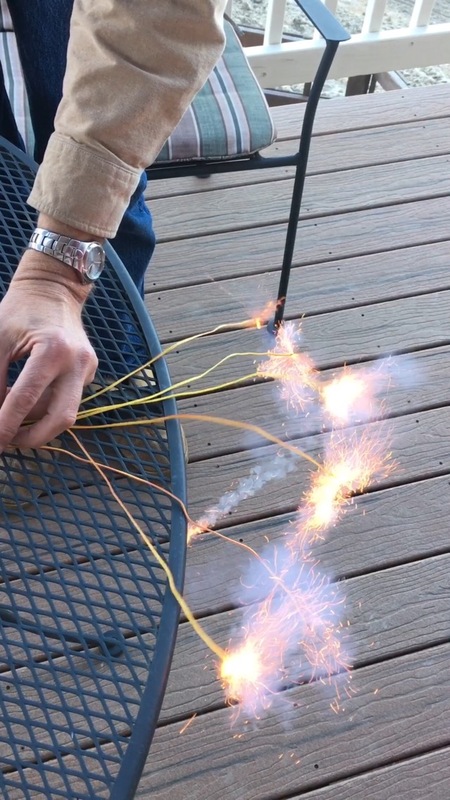 Can be used to light Visco Fuse. Simply remove a slice along the side of your fuse to expose the black powder core. Place your Hot Shot over the core and secure with a piece of masking tape. 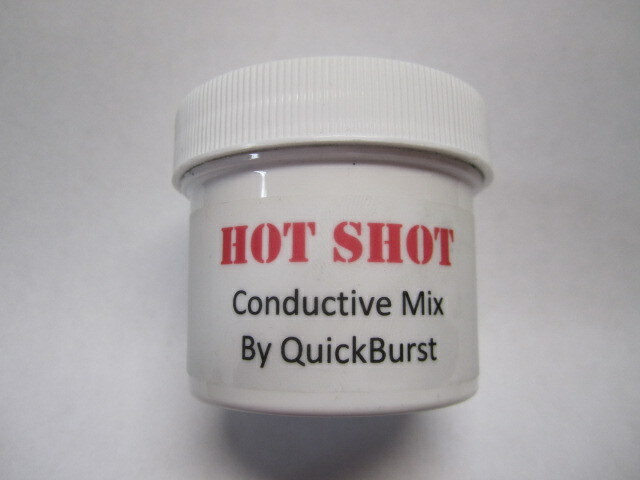 The Hot Shot can be used to light the piece of fuse electronically and dependably. Use as a primer to make larger starters. After you have dipped and dried your starter follow up with a coat of QuickDip. This will make a very low current starter that can be used for lighting larger APCP motors. With your avionics you will be able to use your Hot Shots for air starts. Depending on the supplied current you could even cluster airstarts. As with most things in rocketry the sky is the limit. Most Rocketeers are very resourceful and will come up with applications I can even imagine.